Keep the cats, dogs, chickens out of the garden with sticks. The sticks don't have to be long or heavy, but you will need a lot of them. 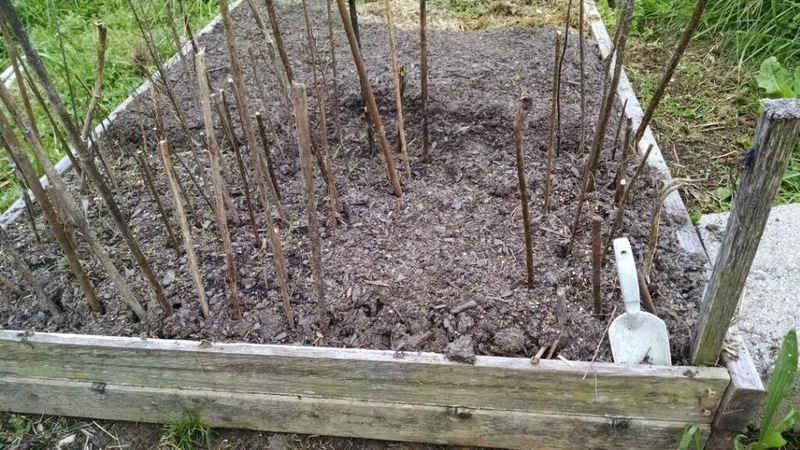 Stab them into the soil of the garden around each of your plants, then fill in the remaining garden area by sticking them (pun intended) in a grid with 2-3 inches between sticks. 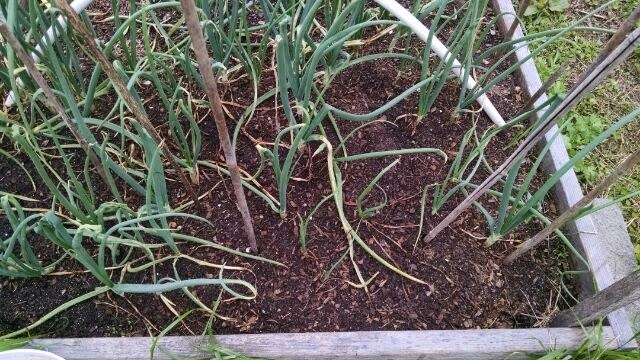 There are shallots planted in the above bed. they are very small - perfect scratch and peck size for chickens. The photo below shows onions that were getting the scratch and peck. See the big patch of naked soil in the middle? It didn't get any bigger because I put sticks in the way. The cat also doesn't lay on or dig potty holes among the sticks. You are welcome! Heart U, Plant Junkies! Check out the YouTube channel: CaleysKitchenGarden!